4x6 No Fray 3/16 x 10 Stick Flag With Ball Top - From 0.20 to 0.25 ea. U.S. Flag Store's No-Fray 4" x 6" U.S. 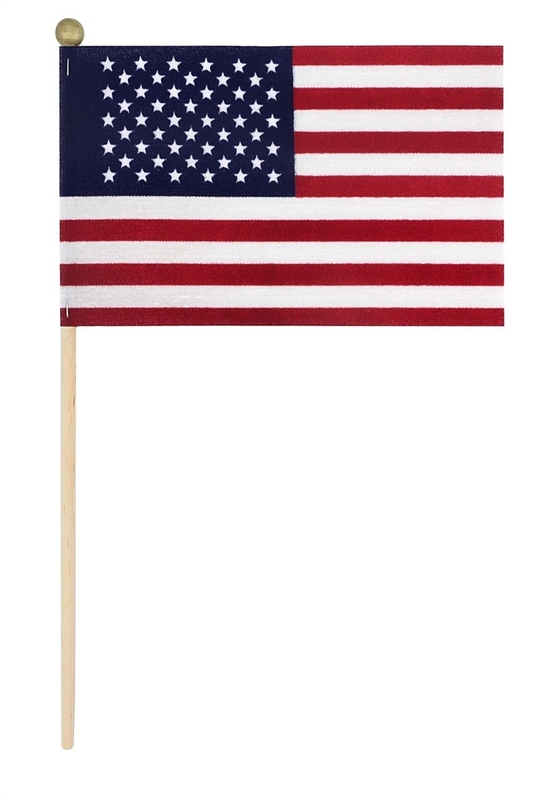 Stick Flags are the perfect way to show your patriotism during any parade or event! Larger sizes are available to decorate veteran's graves. Made from 100% cotton sheeting and mounted on wood staffs, finished with golden-ball heads.